There may be times when you outgrow the capacity of your existing Plan and would need more Job openings. Upgrading your plan is a simple process with Jobsoid. Moreover, you will be charged a pro-rated amount for the Upgrade. 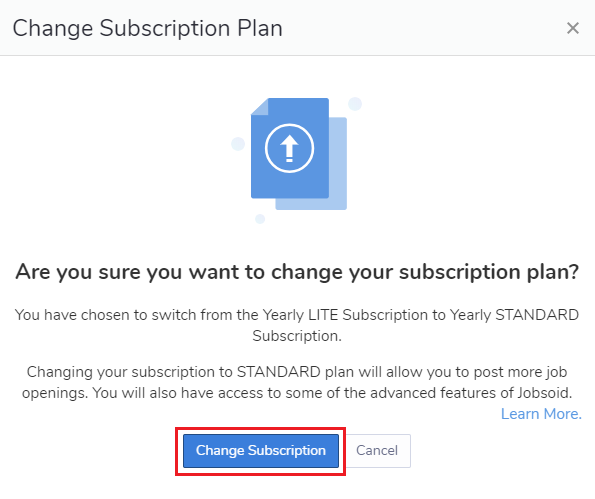 Which means you will be charged for a difference between the cost of the New higher subscription and the unused time on your existing subscription. 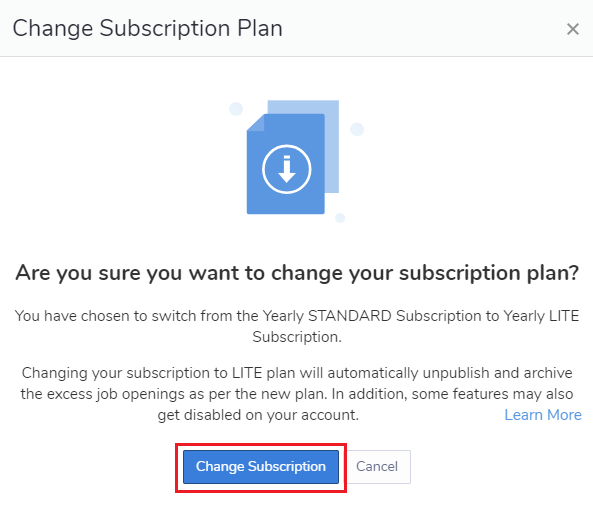 Similarly, you can also downgrade your subscription plan when required. You will be charged a prorated amount for the time you had upgraded your plan. So effectively, if you use say a PRO Plan only for 10 days, you will be charged only for those 10 days on the PRO Plan. Any excess amount will be adjusted on your next billing. In Settings, click on Plans and Pricing under the Upgrade category. You will see a screen showing your active subscriptions and other available plans. Where can I download Invoices of my Active Subscription?